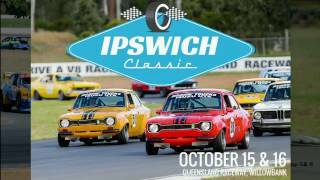 The Ipswich Classic is one of Queensland Raceways stand out events, drawing a massive field of competitors in 2018. The action is non-stop from Saturday morning to Sunday evening, and it's a definite must-see event with categories like Group N, as constant regulars. Adult $20.00 - $40.00 Saturday - AUD20. Sunday - AUD30. Weekend Pass - AUD40. Children under 12 have free entry!